Some say that the New England Patriots reportedly ran the "Trick Play" pass to quarterback Tom Brady through the FDA PHASE model 1,000 times, the "novel" 3-D computer technology that the FDA has made up out of thin air, and the FDA PHASE model showed that the football "binded" to Brady's hands 100% of the time. When that happened, the computer model showed the effect of the football binding to Brady's hands allowed him to run all the way for a touchdown. Except the "Trick Play" didn't work in real life. It's clear that the FDA's Phase modeling system didn't do any better in analyzing kratom. The FDA wants the DEA to accept the "novel scientific analysis and computational model" theory that if kratom "binds" to the opioid receptor in the brain just as opioids do, then it logically must have the same respiratory suppressing effect on users as opioids do, ergo, kratom must be an opioid. The problem is that their conclusion is completely and utterly wrong! It smells of desperation because they know they are losing the battle of real science…so they made up "novel" new science. Another substance that binds to the opioid receptor in the brain is naloxone. Naloxone was approved by the FDA in 1971 and is useful for both acute opioid overdose and in reducing respiratory depression due to opioids. Naloxone is on the World Health Organization's List of Essential Medicines, and is one of the most effective and safe medicines available -- but it does bind to the opioid receptors in the brain. Just ask the FDA's PHASE computer modeling system. What naloxone does not do is suppress a patient's respiratory system, which is why it is used to revive opioid overdose patients. The "novel scientific analysis and computational model" would be stumped to explain why naloxone is not dangerous but kratom is - because both substances bind to the opioid receptors in the brain. Kratom does bind to the opioid receptors in the brain, but it does not suppress a user's respiratory system any more than naloxone does. That is why there are no deaths that can be classified as "caused" by use of kratom. But the FDA claims that the new data produced by their "whiz-bang" new computer model "provides even stronger evidence of kratom compounds' opioid properties." Providing "stronger evidence" on the effects of a substance has never been a standard the FDA would accept in evaluating an application for a new drug or dietary supplement approval. The FDA standard is absolute evidence with little room for any error. But now the FDA wants the DEA to believe just that -- and rush to schedule kratom. Making a non-existent case a little stronger does not make for good public policy. And the FDA touts the claim that the "computational model also predicted that some of the kratom compounds may bind to receptors in the brain that may contribute to stress responses that impact neurologic and cardiovascular function." Really? Kratom "may bind' and "may contribute." And this is good science? The FDA then touted an increase in the number of deaths "associated with these products" from 36 to "44 reported deaths associated with the use of kratom." But then the FDA admitted that "many of the cases reported could not be fully assessed because of the limited information provided." The FDA is not claiming that there are 44 deaths caused by kratom use. They are claiming that 44 people died from a range of causes - including just being completely unexplainable - while also using kratom. Those people who died likely also drank water, a soda, or used hair shampoo in the shower that day. The FDA has never banned a substance because it was mixed with an adulterated, contaminated, or toxic dose of another substance by a user. Never. Until now. Until they stretch to find some excuse to ban kratom. The FDA properly gives guidance on the contraindications of using drugs and other substances concurrently. But it does not ban one substance because it might create a death if used concurrently with another substance. Then the FDA makes the huge leap to conclude that kratom is not "just a plant - it's an opioid." Or you could just flip a coin for the answer. The American public deserves better from the FDA than what they have given us in their analysis on kratom. They started this war on kratom in 2009 when they jumped on the bandwagon of those decrying the deaths of nine people in Sweden who ingested a street drug known as Krypton. Krypton was formulated using some kratom leaves and a toxic dose of O-Desmethyltramadol, the active metabolite of tramadol, a commonly prescribed analgesic. The cause of death was because of the toxic dose of O-Desmethyltramadol. The FDA is well aware of the true cause of death based on highly credentialed scientists was from that active metabolite of tramadol. While I am not a scientist, I have watched Law & Order, and I know that if Dr. Gottlieb were to make a guest appearance on that show and asked to determine the cause of death for an individual who uses kratom for its beneficial effects of his health and well-being, and who walked into a convenience store in the middle of a robbery and got shot between the eyes, Dr. Gottlieb would conclude that kratom was the cause of death. And his computer modeling program would conclude he "may" be right. That is exactly why the DEA should ignore this latest desperate "Trick Play" by the FDA to try to schedule kratom. 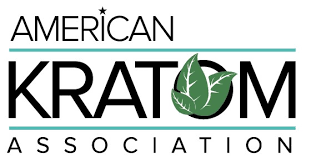 The AKA is committed to providing the public, and the DEA with solid information, good science, and the bullet-proof rationale on why kratom is not dangerously addictive, and it does not cause deaths.